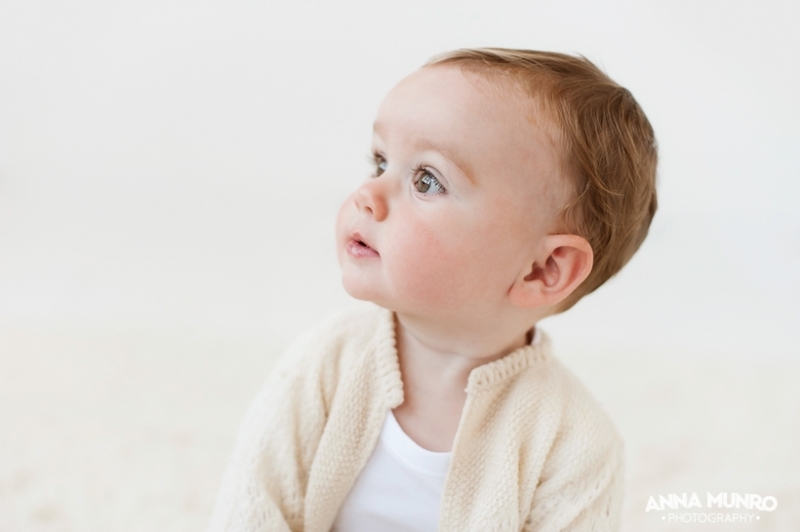 A perfectly pure, white on white, adorabubble baby shoot is pretty much my favourite thing ever. Nothing but bubba, all giggling all wiggling big-eyed babyness. 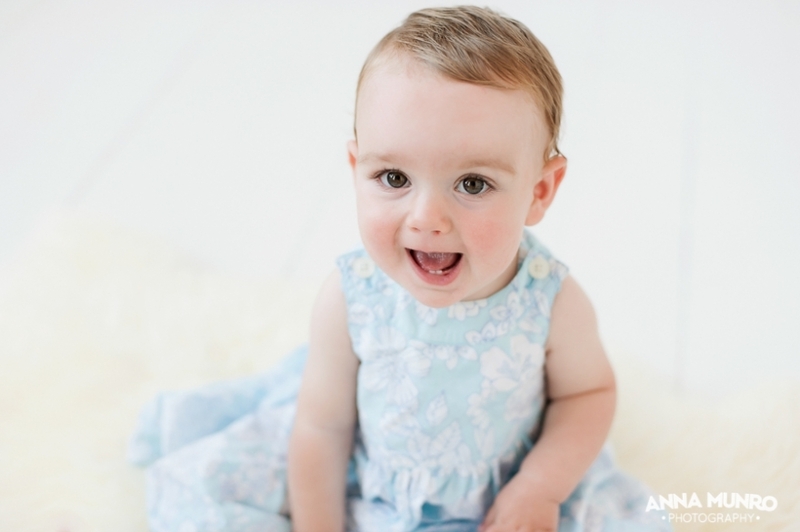 Little Billie Willow is 9 months old, she came along to my studio last week to model for my new promo. She bought along her special bunny and a gorgeous outfit that her great grandmother made for her mummy as a baby. 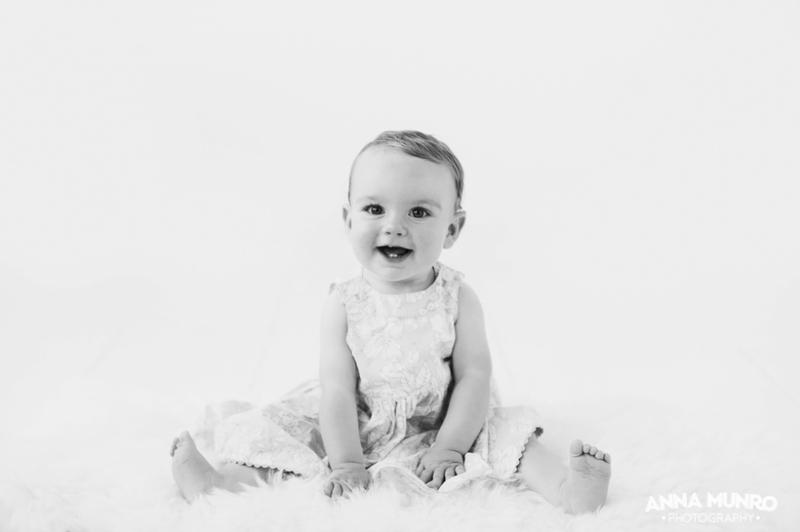 I’m keen to shoot a lot more beautiful babies at this precious age so I am introducing my new SITTING PRETTY baby mini session special! For a great price you can have a short 30 minute midweek portrait session of just your baby, packaged up with a set of digital files and a selection of prints, and the option to upgrade at a viewing session. I have lots of soft neutral props and some cute wee clothes at the studio, and you can bring along your babies favourite toys or some special outfits too. These sitting pretty minis are aimed at babies who have just learnt to sit unassissted, they might be getting to the standing with assistance stage but they’re not walking yet. About 6-10 months is such a cute cute cute age to have portraits taken. Perfect for those with babies suffering from second or third child syndrome and who may be yet to feature in your albums much (compared with the first born! ), or as a catch up for little newborn clients who have rapidly grown into full blown chubby bubbies.